The Greatest Showman is a fantastic film that features Hugh Jackman as P.T. Barnum. This musical is fascinating and keeps your attention from beginning to end. The music soundtrack of The Greatest Showman is one of my favorites of all time. Today I’m excited to share some news about The Greatest Showman Sing-A-Long that’s available now. Beloved fans of the musical story of Barnum & Bailey Circus can now sing-a-long to their favorite tunes. 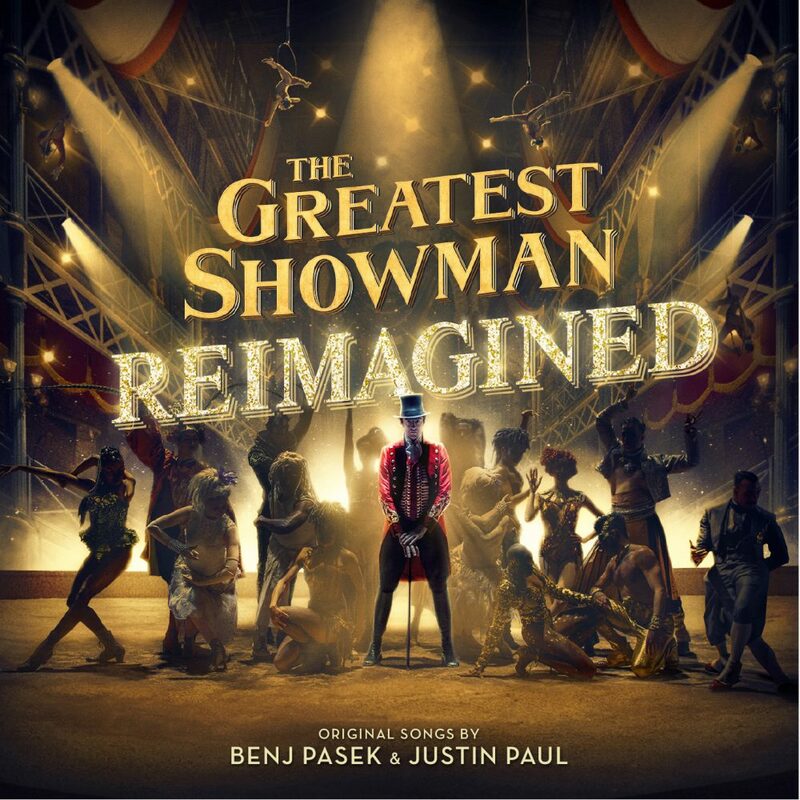 Not only is it super exciting that you can purchase The Greatest Showman Sing-A-Long now but on November 16, 2018, The Greatest Showman – Reimagined will be released. This CD sees songs from the film, all written by GRAMMY®, Tony, and Academy Award-winning duo Benj Pasek & Justin Paul (La La Land, Dear Evan Hansen) covered by a remarkable cast of artists. Hearing Panic! At The Disco sing, The Greatest Show was a fabulous way to enjoy this new reimagined CD. 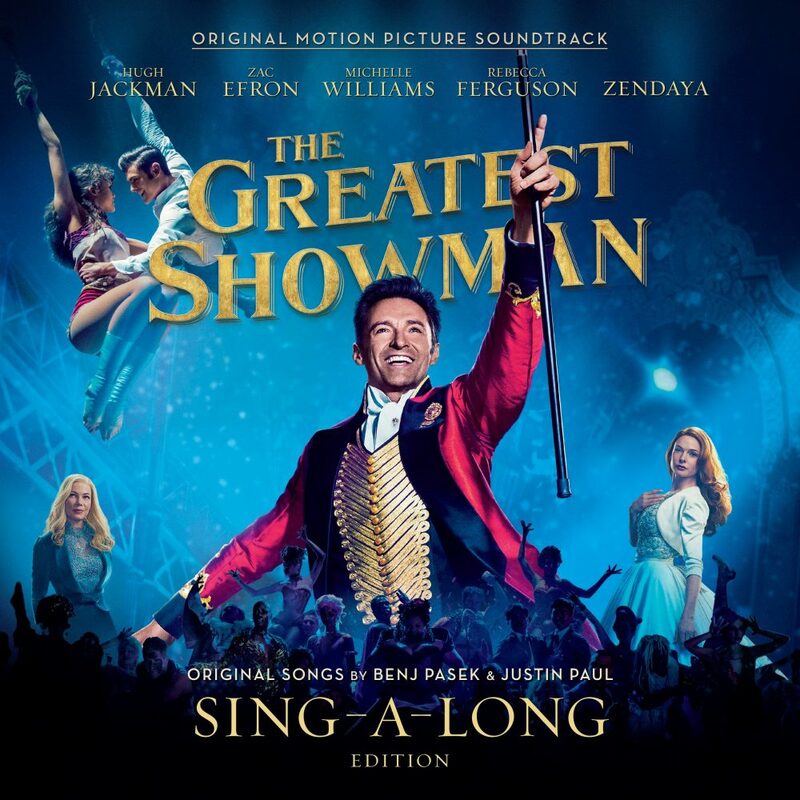 My family enjoyed singing along to The Greatest Showman when we watched the film and now are so excited to enjoy our love of the music with this Sing-A-Long CD. When asked to feature two of my favorite songs from The Greatest Showman Reimagined CD, I had a hard time choosing just two, but I have settled it. Never Enough sung by Kelly Clarkson and From Now On sung by Zac Brown Band has a unique twist from what we heard in the film. I fully enjoy seeing what the artists did with The Greatest Showman Reimagined, I highly recommend you get your hands on both The Greatest Showman Sing-A-Long and The Greatest Showman Reimagined as soon as you possibly can. I know your family will enjoy this music as much as my family does. That sounds like so much fun. My kids would have loved this when they were kids. I loved the original soundtrack and I can’t wait to get the new singalong! Ok…I just bought it online and am listening now!!! Sooooo good! This is what I want in my stocking this year!! I can’t wait to sing along!! I absolutely LOVED the music from the Greastest Showman! I need to add this to my daughter’s stocking! Loved that movie…. I admit that I decided not to see it in a theater but instead rented it at home and then rented it again because I loved it that much. Singing along would be awesome! My girls would also love it… a great gift idea. I looooove the reimagined album – panic at the disco is so good! I am a fan of Hugh Jackman too but I have not seen this movie! I guess it is going to be in my near future!! I loved that video so much! I can’t wait to check the album out! I loved this movie so much, and I think it was mostly because of the music. I should pick up the CD. I love all the artists, too. This would make a great Christmas present – for me! LOL. This sounds like an awesome CD the whole family will enjoy. The perfect size as stocking stuffers for music lovers, too. That is SO awesome! I can’t wait to get one! You know, I still haven’t seen this movie! I really need to watch it, I’ve heard it’s amazing. Guess I’ll be doing that this weekend.